This may not be breaking news, but sleep is life — literally. We already know that sleep is the key to keeping your skin youthful and supple; after all, it’s called beauty sleep for a reason, right? But in this fairytale, a first kiss from your true love just isn’t gonna cut it. How you’re taking care of your skin on the outside is just as important as what’s happening internally when you’re getting your beauty rest, and one of the leading causes of fine lines, wrinkles, and those DREADED split ends is something you may not even think twice about; sleeping on harsh materials, like cotton or rayon. The solution? 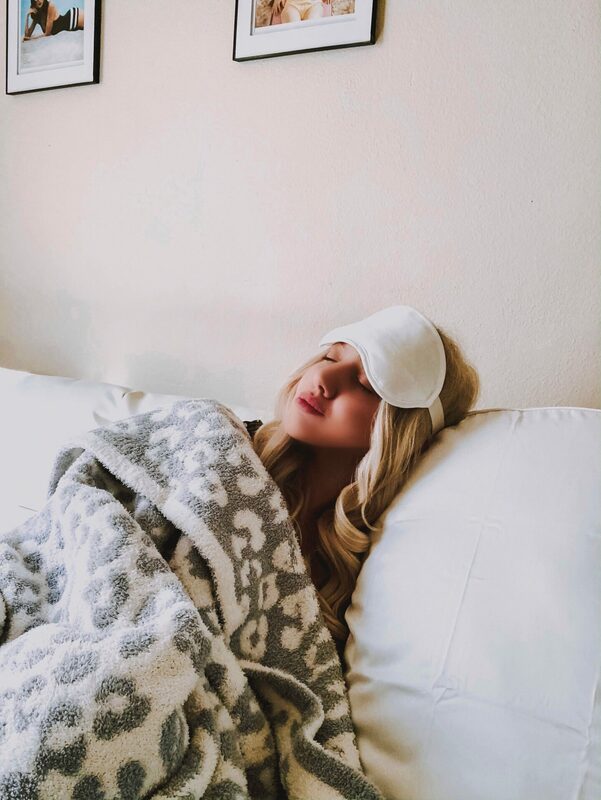 A copper infused sleeping mask (and matching pillowcase) that after trying for a few months now, I can officially say is sleeping beauty approved. Fun Fact: Copper is a powerful essential mineral that is naturally found in the skin, known to play a key role in its rejuvenation process by enhancing its proteins. 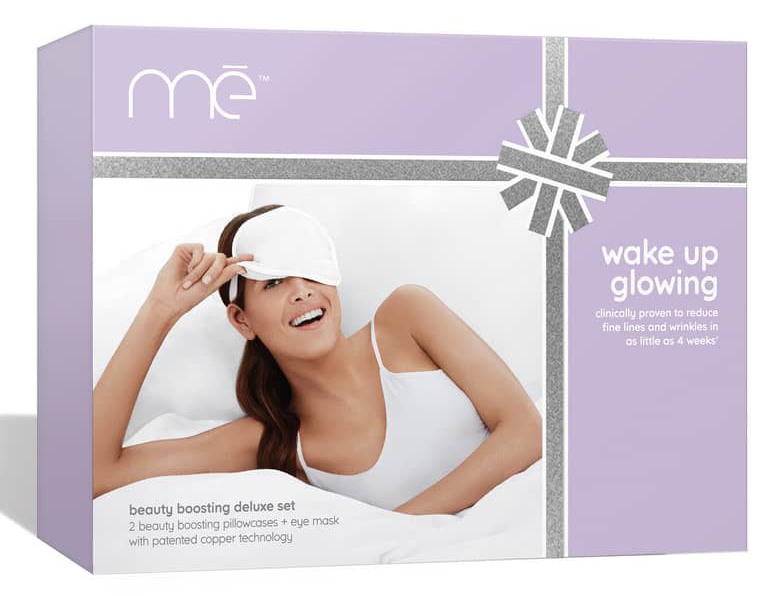 The anti-aging power of mē Glow Beauty Boosting Eye Masks and pillowcases helps your skin go into overdrive by infusing a much higher amount of copper than it can create on its own, leading to skin becoming healthier and more youthful. Add the fact that it’s made of polyester, which is a lot more delicate on skin and hair compared to cotton or rayon, and you’ve got a mask and pillowcase combo from heaven. These products have been a game changer for my beauty regimen! I’ve noticed an incredible improvement in fine lines and split-ends since using my mē Glow Beauty Boosting Eye Mask and pillowcase set. If you’re struggling in either of these areas this is a must-try. If you’re not, a little extra TLC for the skin never hurt anybody, so it’s definitely still worth a try. Plus, who can say no to sleeping in style? If you want to try the mē Glow Beauty Boosting Deluxe Set for yourself, shop them below!